On Nov. 11, 2017 we will remember our fallen or deceased Veterans who served in the various armed branches of the US Military. We also take time to pray and remember our living Veterans and their families for serving our country. 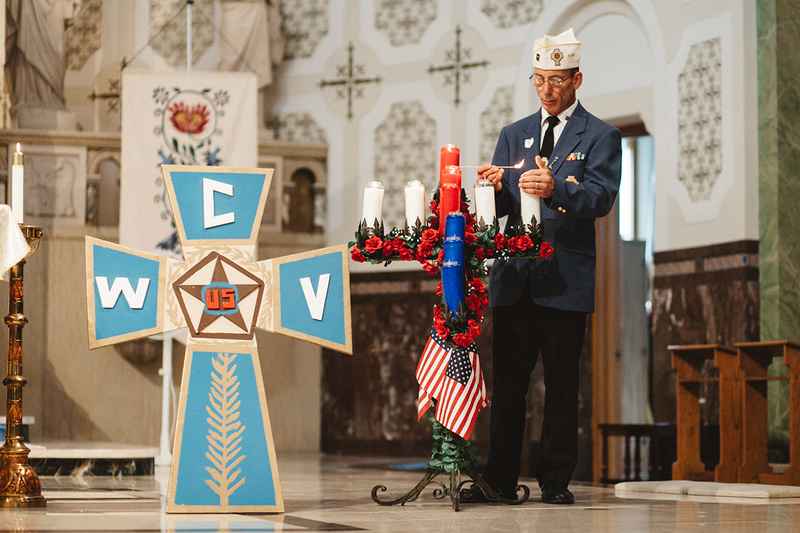 St. Vitus Parish had over 750 individuals who served in the US Military branches during WWII. A Memorial Veteran Monument was installed in the parish court-yard to list the 43 fallen Veterans who did not return home during WWII, Korea War or Vietnam War. May they and all our departed rest in peace. Weekend Mass schedule at St. Vitus Church, 6019 Lausche Avenue, Cleveland, Ohio 44103 is Saturday Vigil mass at 4:00PM and on Sunday 9:00AM Mass and 10:30AM Mass. God bless all our Veterans on Veteran’s Day 2017.